Local farmers and ranchers in our region have been devastated by the severe weather, tornadoes and flooding this past spring. 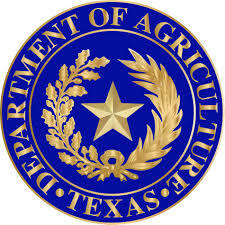 To assist in the recover effort, the Texas Department of Agriculture established the STAR fund to help with the relief efforts from these events. The counties that are eligible to receive assistance in our remote area are: Young, Jack, Wise, Parker, Palo Pinto, Throckmorton, Archer, Baylor and Montague. For a complete list of counties eligible for assistance, visit Texas Department of Agriculture’s website. The STAR Fund (State of Texas Agriculture Relief Fund) was created solely with monetary donations from private individuals and companies, including Farm Credit, Valero and McCoy’s Building Supply. STAR Fund money may be used to assist farmers and ranchers in rebuilding fences, restoring operations and paying for other agricultural disaster relief. As natural disasters continue to impact Texas farmers and ranchers, the need for donations continues. If you are a farmer or rancher whose property was damaged by the severe weather and your property is located in a county listed in the Governor’s disaster proclamations, you may be eligible for assistance. We need your help to replenish the STAR Fund, so that TDO can continue to make a positive impact on the lives of our fellow Texans. As natural disasters continue to impact Texas farmers and ranchers, the need for donations continues to grow. Help make a difference in your community, visit TexasAgriculture.gov to make your donation to the STAR fund today. This entry was posted on Wednesday, July 1st, 2015 at 5:02 pm	and is filed under News & Updates. You can follow any responses to this entry through the RSS 2.0 feed. Both comments and pings are currently closed.